Young is the daughter of Kevan and Lezlee Young of Albany, Kentucky. 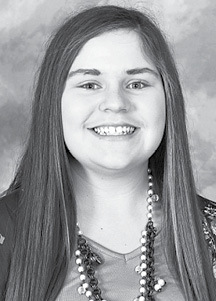 Young will join 66 high school students from Southern and Eastern Kentucky this summer for the 22nd annual Rogers Scholars youth leadership program. The 2019 Rogers Scholars program will be held June 9-14 on the campus of Lindsey Wilson College in Columbia, Kentucky and July 14-19 on the campus of Morehead State University in Morehead, Kentucky. There is no tuition charge to attend the program and lodging and food are provided free of charge to participants.